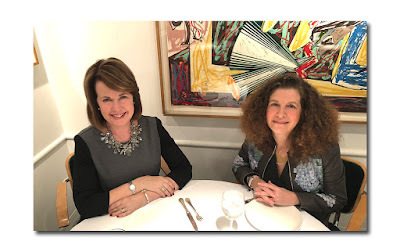 Fashion Week is always a good time to check in with Professor Susan Scalfidi Fashion Law Institute at Fordham University. 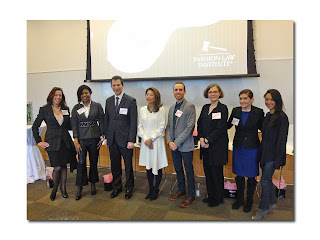 On Friday morning I did just that with “Inside Out 4,” a breakfast panel featuring seven seemingly bright-eyed lawyers discussing the invigorating question: “What Keeps Fashion’s In-House Counsel Awake at Night?” Undoubtedly these individuals often forgo their beauty rest due to a number of worries. Some examples of these include new and ever-changing technology (cybersecurity, A.I. for instance); complying with advertising regulations; securing customer privacy and big data; and the levying of international tariffs. Panelists from left to right: Professor Susan Scafidi, Fashion Law Institute; Paula L. Barnes, Senior Counsel, Macy's; Jeffrey Hellman, Vice President and Assistant General Counsel, PVH; Angela Byun, Executive Account Director and Asia-Pacific Business Development, Conde Nast Style Division; Derek Morales, Brand Protection Counsel, Ralph Lauren; Cristina Del Valle, Senior Associate General Counsel, The Metropolitan Museum of Art; Any Lamberti, Associate General Counsel, The Metropolitan Museum of Art; Grace Fu, Executive Vice President of Human Resources, General Counsel and Secretary, Barneys New York. As far as those pesky YouTubers – they are often in violation of advertising rules with content that is sponsored but doesn’t say so or that hasn’t been fact-checked. A publishing company hoping to maintain its content integrity as well as ensure its relevancy with Millennials and Gen Z’ers is walking a risky tightrope. Gender fluidity, multiculturalism, and diversity have changed everything as has the constant need to guard against cultural appropriation gaffes while still pushing boundaries. 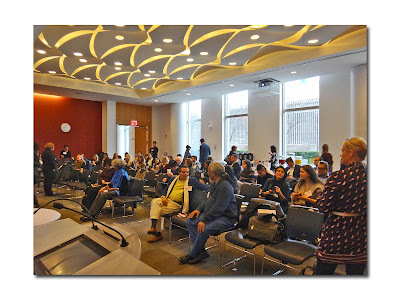 On the plus side, one panelist spoke of witnessing a bit of an "influencer" fatigue for those dressed head to toe in a particular brand – the reader is on to them and doesn’t appreciate that they are becoming more commercialized. Spurred on by the idea that people will pay for quality content as evidenced by Netflix, Hulu, and Amazon Go, Conde Nast plans to put content behind a paywall by the end of the year so enjoy your free subscriptions now. Where does inspiration end and copying begin? This is the question that many fashion houses must ask themselves both in offense and defense of their brands. In these days of the “call-out culture” (Diet Prada, anyone?) a fashion influencer or blogger can make an incident go viral (known as the “Consumer Police”) leaving the brand that’s been accused of copying forced to play catch-up. “Inspired by” is a very broad term – brands must be aware of where the original content came from. Many think that the term “Vintage” is a free space on the board -- just because something’s old doesn’t mean it’s not still under copyright protection. “But Google it - - it’s everywhere” also doesn’t fly since sites such as Pinterest and Instagram could just be sharing a look which is not the same as actually using it in a design. Even prints, patches and small stickers are subject to copyright claims – in fact, the “deep pocket theory” of litigation could come into play in which a smaller company will choose to enforce against the highest profile, most profitable brand if it appears that they’ve been copied. 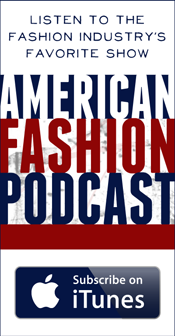 Although there is technically no copyright in fashion, some things like patterns are protected, prompting Scafidi to humorously ask if the panelist was now a proponent of monochromatic fashion. In another effort to keep copiers at bay, Ralph Lauren has changed to a “see now buy now” formula – clothing in last Thursday’s show is already available online. Labels: New York Fashion Cool-Aid by Laurel Marcus: "What Keeps Fashion's In-House Counsels Awake at Night?"